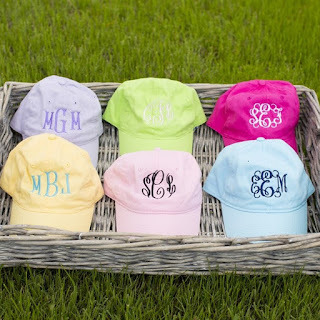 Love these Monogrammed Caps ONLY $12.99 (Retail $25.99)! Going out for a day of fun in the sun? Having a bad hair day? Forget the boring old baseball hat and grab this adorable cap! Fun colors and personalized just for you! New Colors - 12 Colors! Shipping is $1.99 for the first item and $0.79 for each additional item. US only. Ships no later than Sat, Mar 31.